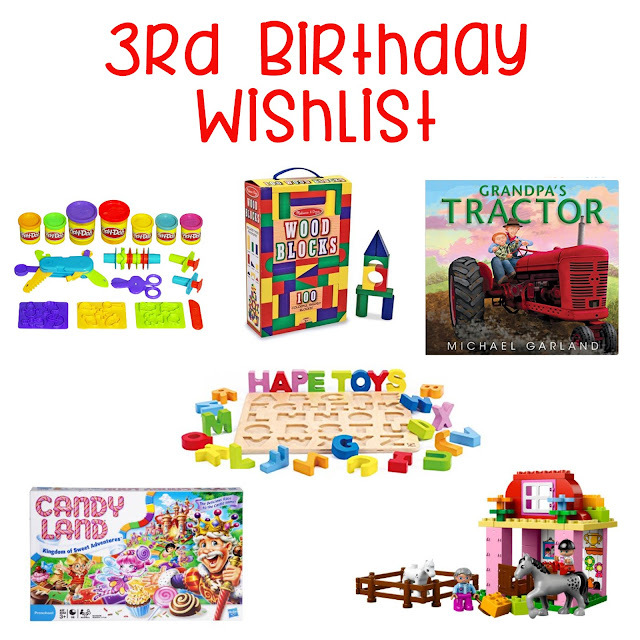 What are you favorite gifts for a three year old? Great picks! We also got waverly a tricycle that she looooves! We love all of these items! Candyland has been a favorite of Kinsey's for a year now (though it IS the Disney princess edition ;) You cant go wrong with toys that are open- ended and can be used multiple ways! Liam got those blocks for his birthday and loves them! He's also a big fan of candyland, but especially the Sneaky Snacky Squirrel Game! Little J loved puzzles at 3!! That's also when also first started showing interest in the Leappad that grandma got him! We got that ABC puzzle for Mason's birthday and he loves it! He's so good at identifying the letters and we use it for color recognition too. It's great! I've been eyeing those blocks on Amazon for a while now. They're on Mason's Christmas list! The ABC puzzle is awesome. Connor plays with it every time we go to story time at the library.